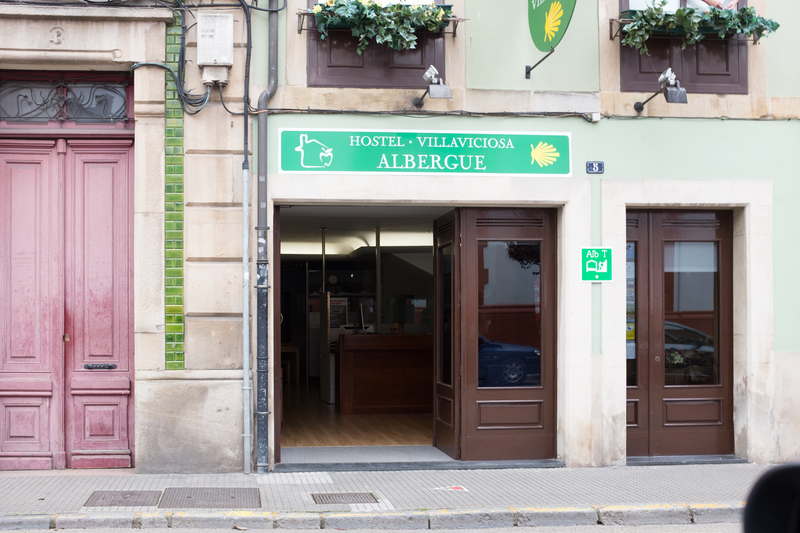 This place is a great Albergue! Clean rooms, beds, showers, toilets. It has a kitchen and dining area. Good WiFi. The owner is lovely too - understands English but doesn’t speak it! Recommended! Supermarkets is close by too. I’m the mod centre. One of those newer albergues, no shaky bunk beds! Well equipped kitchen with supermarket nearby. Washroom and shower in the room....very clean. Looks really nice, clean and organized. Host is friendly and informative. Beds have little shelves, light and power outlets. Lockers for your stuff and not too many beds crammed into small spaces. Great location and good wifi. Will do your laundry for €5.